The Waltz Smart gives you all the great features of the Escape, yet offers even more comfort for you and your baby. Enjoy superior comfort, more included options, and richer materials on every outing. Built with your newborn in mind, but easily able to handle a large toddler, the Smart edition comes with a child tray and cup holder, full-reclining capability, and it is even compatible with most car seats. When you and your child are exploring the world, make getting in and out of your transportation a snap. 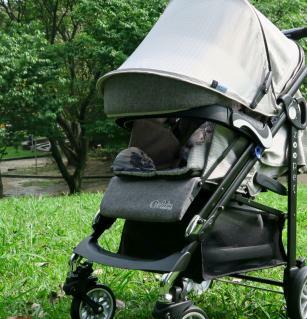 The Waltz Smart folds and stores in just seconds−and you get all of this convenience in a full-sized stroller!